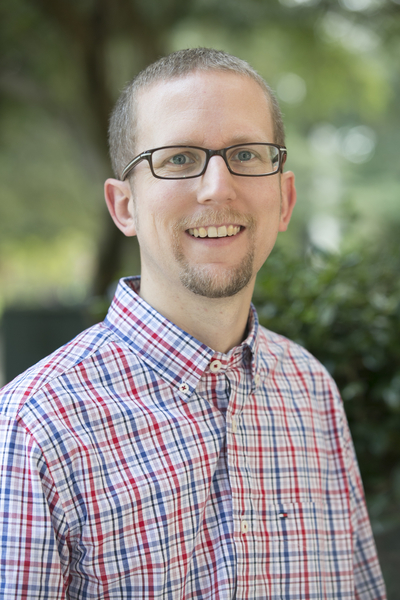 Dr. Jeffrey Powell joined the faculty of Samford University after finishing his Ph.D. at Emory University in 2006. His main mathematical interest is in the area of discrete mathematics, particularly in graph theory. Specifically, Dr. Powell enjoys working on path, cycle, and linkage problems. He also has a strong interest in social network theory and its applications across disciplines. The relationship between music and mathematics is also a side interest for him. His interest in mathematical research began with his participation in a summer research project as an undergraduate. It was that experience that helped expose him to the creative and fun side of mathematics. Because of these experiences as an undergraduate, he is especially pleased to be working at a university with such a strong emphasis on teaching and undergraduate research. "Mathematics isn't some sort of magic that only certain enlightened people can do," Powell says. "It is a discipline of elegant order built on a logical foundation. Consequently, I don't believe that 'non-math people' exist. Everyone, with the right attitude and effort, can do mathematics. In my classes, I hope to help students understand the ideas underlying mathematics so that many more will discover that they can do mathematics and that they are in fact 'math people'".